Fall 2015 has revealed a number of exciting returns for classic artists, including long-awaited returns by Jeff Lynne's ELO and British pop-rock outfit Squeeze, as well as high-profile releases from Canadian rocker Bryan Adams, German hard rock outfit Scorpions and a solo album from ZZ Top guitarist Billy Gibbons. Tell me more: For the better part of the 1970s and '80s, the Electric Light Orchestra – better known as ELO – thrilled rock fans with dozens of spectacular hits including "Evil Woman," "Turn to Stone," "Don't Bring Me Down," "All Over the World" and "Mr. Blue Sky." When the band folded in 1986, lead singer/guitarist/songwriter Jeff Lynne became busy working as a producer for the likes of George Harrison and Roy Orbison, and a key member of supergroup of the Traveling Wilburys seemingly put an end to ELO. With 2015 being a year chalk full of amazing returns (Blur, the Zombies, Squeeze, Duran Duran), an amazing full-length disc from Jeff Lynne's ELO has to be heard to be believed. An acclaimed producer, singer, songwriter and multi-instrumentalist, Lynne displays his myriad of talents across Alone in the Universe, a disc where he masterfully handles the majority of duties on his own. Lynne can still unleash shimmering symphonic epics (including the wonderful single "When I Was a Boy" and swirling "The Sun Will Shine On You"), but some of the most sterling songs here include the confessional ballad "All My Life," yearning "I'm Leaving You" and reflective title track. Here in the U.S., there is a deluxe edition of Alone in the Universe that includes two bonus tracks. Information: jefflynneselo.com. Tell me more: Featuring Squeeze's first new album of new material since 1998, the newly-released Cradle To The Grave finds Chris Difford and Glenn Tilbrook and company forging ahead even while celebrating their storied melodic and literate style that yielded a slew of classics in the 1970s and '80s. The songs here blend power pop and melodic rock, adorned with lovely harmonies and creative arrangements that enhance each song's core power (many of the tales here honest chronicle middle age). "Happy Days" is as exhilarating as its title; the ambitious Beatles-styled "Sunny" and Americana-tinged "Haywire" are the creative equal of Squeeze classics such as "Tempted," "Black Coffee in Bed" and "Cool For Cats." A thrilling return to be sure. Information: squeezeofficial.com. Tell me more: Singer-songwriter Bryan Adams' latest album Get Up was produced by legendary Jeff Lynne (Roy Orbison, Tom Petty, George Harrison), and the project is something that ultimately stretches the reach of Adams' sincere style of rock 'n' roll. Some of the songs here incorporate elements of classic rock stretching back to the genre's roots (particularly the 50s-flavored "You Belong To Me" and Beatles-mining "Don't Even Try"), while "Go Down Rockin'" captures the spirit of the Ontario, Canada native's classic '80s works. The lovely "Yesterday Was Just a Dream" is a wonderful track that is as contemporary and affecting as anything Adams has ever recorded. Information: BryanAdams.com. Tell me more: AC/DC isn't the only classic hard rock band to have silenced the naysayers in 2015. Germany's Scorpions - who remarkably have been together for 50 years - have issued one of their best-ever discs. Return to Forever features the blend of strong riffs, melodic heavy metal and power ballads that marked the band's wave of top-selling albums issued throughout the 1980s and early '90s. Singer Klaus Meines remains a wonder, his voice able to convey youthful abandon as well as more mature emotions. "House of Cards" is the band's most compelling ballad since 1990's classic "Wind of Change." Rockers need not worry; the pumping "All For One," "Going Out With a Bang" and "House of Cards" are among the bona fide hard rockers on the album. The straight-forward and aptly-titled "Rock 'n' Roll Band" sums up the 5 decade career of one of the globe's most enduring hard rocking outfits. Information: the-scorpions.com. Tell me more: While ZZ Top front man Billy Gibbons' distinctive vocal growl and blistering lead guitar work will quickly be recognized on Perfectamundo, the first-ever solo album from Gibbons stands apart in style from his role in his Rock and Roll Hall of Fame band. Here Gibbons' musical stamp is mixed with a decidedly Cuban flair courtesy of his musical collaborator Martine "G.G." GuiGui. The festive, dance-minded affair blends blues, Latin rhythms, rap, Carribeano and other exotic elements. Infectious and authentic, highlights include the Mexicano-blues rocker "Got Love If You Want It" and percussion-anchored "Sal Y Pimiento." Information: billygibbons.com. New York, NY --- Fabrizio Grossi, Lance Lopez and Kenny Aronoff have announced the debut release from Supersonic Blues Machine on February 26, 2016 via Provogue / Mascot Label Group. The album features guest appearances from Billy F. Gibbons, Walter Trout, Warren Haynes, Robben Ford, Eric Gales, and Chris Duarte. Pre-Orders go live today here: http://smarturl.it/SBM-iTunes.. All purchasers will receive the instant gratification track "I Ain't Falling Again." Provogue Records has also presented an album trailer:https://youtu.be/vy5U7gCotbg (Embed Code Follows Below). Real blues is the music of life experience. It is simple, but contains multitudes - feelings and knowledge accrued over decades. 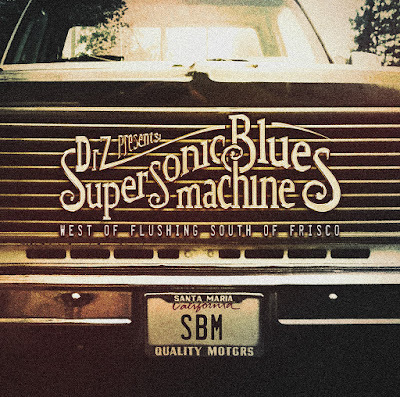 Collectively, the trio of musicians that make up Supersonic Blues Machine (SBM) have experienced more than three typical lifetimes. 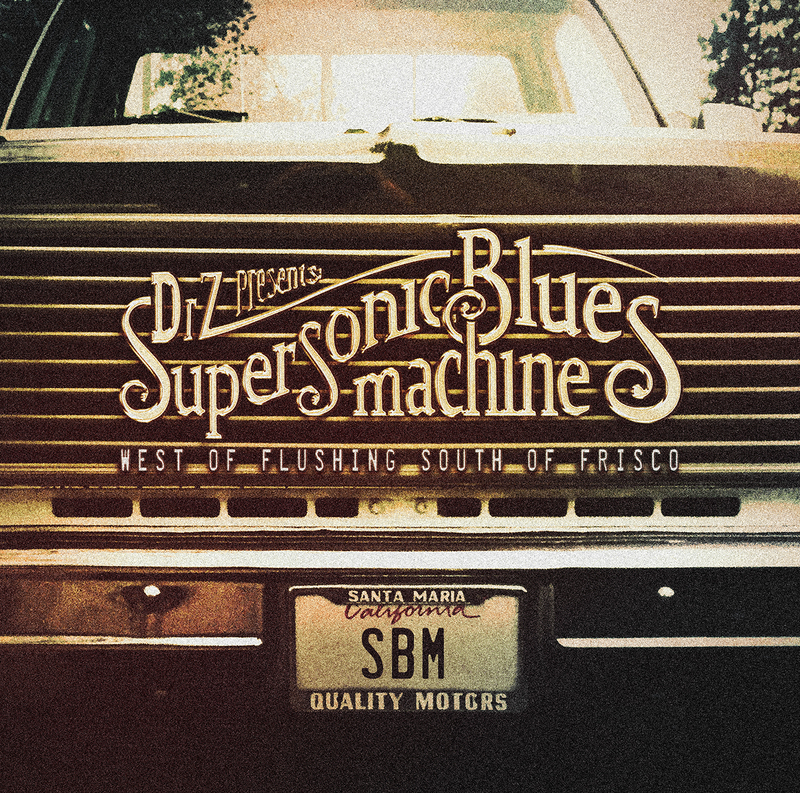 These world-class musicians have banded together in Supersonic Blues Machine, bonding in their love of this uniquely American genre and motivated by a desire to help its spirit evolve. Fabrizio Grossi (bass/producer/engineer/wordsmith) worked his artistry in his birthplace - Milan, Italy - before migrating to London, Canada, New York, and currently Los Angeles. Texan Lance Lopez (guitar/vocals) accrued at least one lifetime of experience before he was out of high school while playing bars in Louisiana and Florida. College came in the form of tours with R&B legend Johnny Taylor and blues masters Lucky Peterson and Bobby Blue Bland. Kenny Aronoff (drums) has a resume that spans four decades and reads like a “Who’s Who” of roots rock legends, including John Mellencamp, John Fogerty, Eric Clapton, Jack White, Billy Gibbons, B.B. King, Bonnie Raitt, and Dr. John. Grossi found a magical connection with Kenny Aronoff when the two toured as the rhythm section of Toto guitarist Steve Lukather’s side Jam band “Goodfellas.” The next step came when Lance Lopez contacted Grossi about working on the Texas guitar whiz’s new solo project. While they were recording, Grossi got a call from Billy Gibbons, whom he had met on a Los Angeles session. The ZZ Top guitarist had known Lopez as a young blues prodigy, and strongly suggested Grossi and Lopez join forces. It was the Reverend Billy G’s blessing that helped birth Supersonic Blues Machine, and a stronger imprimatur for a nascent blues-rock project would be hard to find. The guest guitarists on Supersonic Blues Machine’s debut West of Flushing South of Frisco are not a random selection of famous names, but more like members of an extended family. “I have worked on projects with Warren Haynes [guest and co-writer on ‘Remedy’], and when he tours anywhere near Dallas, he will always have Lance sit in,” Grossi explains. Lopez and Chris Duarte (“That’s My Way”) have been friends for years, and the SBM guitarist grew up with guest Eric Gales (“Nightmares and Dreams”). Walter Trout (“Can’t Take It No More”) is yet another member of this blues fraternity who, despite battling health issues, was anxious to contribute to the project. Finally, Grossi describes Robben Ford (“Let’s Call It a Day”) as the “classiest guy” he knows. “All these people light up the room when they walk in,” he says. Click here to read my latest column featured in Desert Star Weekly. If you can't access the embedded article (which is featured on page 14 of the issue that will open), you can read a text version below. Two contrasting releases from singer-guitarist Holly Golightly, as well as impressive returns from Herb Alpert and bluesman Joe Louis Walker are worth discovering. Tell me more: Holly Golightly has been busy in 2015. Not only did she recently release a new album with her well-established Americana project Holly Golightly & the Brokeoffs, the English artist has also released a new solo album that conjures up Cilla Black, Shirley Bassey and modern-day favorites She & Him with a sense of fun and purpose as evidenced by the tuneful sunshine pop of "Frozen In Time," the early-styled rocker "As You Go Down," and Baroque folk ballad "Forevermore." Information: damagedgoods.co.uk. Tell me more: The latest collaboration from Holly Golightly & the Brokeoffs (the duo of British singer-guitarist Holly Golightly and Texas-spawned multi-instrumentalist/vocalist Lawyer Dave), "Coulda Shoulda Woulda" is a dozen song set of spirited indie Americana. There is an authenticity to all of the songs here, with the duo blending blues, rock, country folk and roots rock with equal aplomb. From the straight-forward rocking blues of "Little Mule" to the more detailed acoustic Delta ballad "What He Does" and introspective Appalachia-laced vocal duet "Lonesome Grave," there is a warmth and honesty to everything here. Information: hollygolightly.com. Tell me more: The Zombies are not the only popular '60s hit makers to enjoy a full-on resurgence in recent years. Trumpeter Herb Alpert won a Grammy for his 2013 disc "Steppin' Out" and has just released the aptly-titled "Come Fly With Me," a disc that proves the 80-year-old artist is still able to deliver top-flight performances. Blending artful covers and melodic originals, all of the compositions retain the jazz meets Bossa Nova style that was a stamp of Alpert's '60s and '70s hits, although he often influses reggae rhythms into several of the pieces (including a version of Irving Berlin's "Blue Skies" and his own "Walkin' Tall"); a jazzy and especially tender instrumental version of George Harrison's Beatles classic "Something" and yearning version of Billy Strayhorn's "Take the 'A' Train" are among the other standouts on "Come Fly With Me." Information: HerbAlpert.com. Tell me more: Blues Hall of Fame inductee Joe Louis Walker is in full form on the recently-issued “Everybody Wants a Piece.” A guitarist who isn’t afraid to tear into his electric guitar with the freewheeling approach of Buddy Guy and the late Jimi Hendrix, the Bay Area native shines as both singer and guitarist across the 11-track disc, including on the blues rocker “Do I Love Her,” soulful “Black & Blue” and “Witchcraft” (both showcasing Walker’s strong lead vocals) and Delta-minded standout “Gospel Blues.” The final track, “35 Years,” recalls the infectious spirit of Chicago blues greats Howlin’ Wolf and Muddy Waters. Information: mascotlabelgroup.com. Matthew and Gunnar Nelson have achieved international success, with a double-Platinum album, multiple top 40 hits, including a No. 1 single, and sold-out concerts around the world on their list of accomplishments. Now, the duo are looking ahead to the next chapter, which begins with their first-ever holiday release, This Christmas. The album, currently available for pre-sale on iTunes and Amazon, will be available digitally starting on Nov. 20 and in stores on Dec. 4. 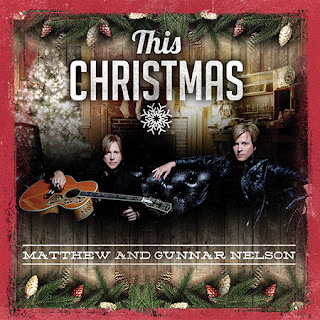 More than just a collection of holiday songs, the album, which was produced by Matthew and Gunnar, affirms the power of their unique bond and family heritage. "In addition to our original single 'THIS CHRISTMAS', we were able to rearrange Christmas classics that people the world over have loved like family members for generations,” said Matthew. “We've made them sound fresh and new while at the same time respecting their integrity and history. We're absolutely thrilled with the results, and hope our listeners will be too,” added Gunnar. An all-star support team added depth and dimension to the brothers' fundamental tracks, with Nashville studio veteran Ed Seay mixing and a lineup of musicians that included fiddle virtuoso Molly Cherryholmes and Michael Bonagura from Baillie & the Boys. Michael's daughter, singer/songwriter Alyssa Bonagura, plays a prominent vocal role on the title track, written by Matthew, Gunnar, Alyssa and Michael with an unusual narrative twist. "It's a challenge to write a Christmas song that's not like something people have heard a million times before," Gunnar admitted. "So we started talking about this concept of two best friends that realize, on the night of miracles, that actually they're in love with each other and always have been. If miracles can happen on Christmas, maybe that's the night people in love can risk telling each other." For all the wonders conjured throughout This Christmas -- the rich harmonies and imaginative thematic development in "Joy to the World," the fresh rhythmic perspective on "O Come All Ye Faithful," the intimacy of "White Christmas" – the title track most vividly forecasts what lies ahead. Impeccably written, with a cascading motif adding a special shimmer to the story, it suggests that the Nelson brothers are about to pass their most significant career milestone since their debut. "I believe we've reclaimed the same excitement we had before we made our first album," Matthew offered. "We were firing on all cylinders. We knew exactly what we wanted. We're there again -- two brothers with a vision and a sound that no one else has." "We've made a conscious decision to come from the heart," Gunnar summed up. "It's amazing what happens when you stop fighting the universe and start doing what you were born to do." For so many around the world, Christmas means rebirth. For Matthew and Gunnar Nelson, This Christmas heralds an adventure that's only beginning. With the terrible terrorist attacks that hit Paris on Friday, Nov. 13, 2015, news of the release of Mika's much-anticipated Special Edition of "No Pleace In Heaven" likely didn't receive much attention over the weekend. So I wanted to highlight it here. My sincere thoughts and prayers go out to everyone in France, and the families of the victims of the heinous attacks. NEW YORK, NY (November 13, 2015) – MIKA releases No Place In Heaven Special Edition[Republic Records/Casablanca Records] at all digital retailers today. It’s available for purchase HERE. The platinum-selling international pop impresario expands his critically acclaimed fourth full-length—2015’s No Place In Heaven—with a bonus 14 staples performed live alongside the Symphonic Orchestra of Montreal. Recorded at the The Orchestra Symphonique de Montreal in Montreal, QC, he adds a new dimension to fan favorites such as “Grace Kelly” and “Elle Me Dit” with accompaniment from the orchestra. His unmistakable voice feels right at home inside these beautiful, bombastic, and booming symphonic arrangements. Following release, he performed new music on Good Morning America’s annual Summer Concert Series. Online, the music video for the single “Talk About You” racked up over 3.4 million YouTube/VEVO views. He also paid homage to Queen singer Freddie Mercury with the cinematic “Last Party” video directed by renowned fashion photographer Peter Lindbergh, which would receive over 2.1 million views. In addition to snapping the album cover photo, this was Lindbergh’s very first collaboration with a music artist. Recently, MIKA has enjoyed high-profile syncs in both Pitch Perfect 2 and Spy. Outside of music, his influence continues to expand worldwide. MIKA has been a judge on the X Factor Italy and a coach on The Voice France after topping the charts in France with the release “Boum Boum Boum.” He’s also been tapped by watch innovator, Swatch, as a creative ambassador creating striking designs for the line. In addition, he’s collaborated with Italian fashion leader, Valentino, architecting custom suits with the creative directors for his European tour and television appearances. Watch the latest episode of MUSIC WORTH BUYING where TJR and Robert assess several essential new reissues: Peter Frampton's wonderful 2003 album Now and the seminal 1974 debut from Bad Company. What do the far-flung likes of the Rolling Stones, Katy Perry, Lenny Kravitz and Elliott Smith have in common? All are the focus of newly-issued films available now. Tell me more: Rock fans wanting to see a Rolling Stones concert that captured the Brits at their best should check out the recent release From the Vault: Live at the Tokyo Dome 1990. Filmed during the Stones' 10-date run at the Tokyo Dome in 1990 where the band marked its first-ever live dates in Japan, the footage has been fully restored and the audio has been newly mixed by Bob Clearmountain to achieve something equaling the power of the 130-minute performance in front of 55,000 excited fans. The set list is truly perfect, balancing the band's best '60s and '70s classics with five standouts from the Stones' outstanding 1989 album Steel Wheels. The highlights come fast and furious including the soulful "The Harlem Shuffle" bolstered by the work of the Uptown Horns, the disco-rocker "Miss You" featuring Bobby Keys' terrific work on sax, the full-on rocker "Rock and a Hard Place," and an incredible performance of the band's masterwork "Gimme Shelter" with Mick Jagger and singer Cindy Mizelle trading potent lead vocals. Information: eagle-rock.com. Tell me more: Katy Perry has scored plenty of hits since the release of her 2008 album One of the Boys, but it are the singer-songwriter's extravagant concerts that impress most. So fans of the popular pop star will be thrilled with her concert film The Prismatic World Tour Live which offers a dazzling mix of music, theatrical effects, fearless acrobatics, eye-catching costumes and radio hits galore. Filmed in Sydney, Australia in December 2014, Perry and her cast of dancers and musicians are fully showcased across the seven-act production by director Russell Thomas. A popular songstress able to masterfully blend dance-minded disco pop with light rock, high points on the concert film include the animated "Roar," EDM-styled "Wide Awake," piano-anchored ballad "By the Grace of God" and sparkling "Firework." Information: katyperry.com. You might like if you enjoy: Jimi Hendrix, Gary Clark Jr.
Tell me more: Just Let Go is far more than a concert film. Because while the title features Lenny Kravitz and his excellent band performing during a 2014 European tour, the DVD title (also available on Blu-ray and digital) offers a revealing look at the process that the rocker and his troupe prepare for a tour, and how playing concerts is an entirely different experience than recording in a studio. Director Paul Dugdale is able to deliver both the concert performances and interview segments with a unified vision. The performances sizzle; "Dirty White Boots" (with Kravitz tearing up on lead guitar), "American Woman," the funky "Dancin' Til Dawn," acoustic "Sister" and blistering version of "Are You Gonna Go My Way." Information: eagle-rock.com. Tell me more: The first full-length documentary to ever explore the life and music of acclaimed singer-songwriter Elliott Smith (1969-2003), Heaven Adores You is as heartfelt and introspective as the song craft of its gone-too-soon subject. Utilizing a blend of gritty visual images of the locations he called home (primarily Portland, New York City and Los Angeles), performance video and audio of Smith, and interviews with those who knew him best, Heaven Adores You is a compelling portrait of Smith and his long artistic shadow. Even music fans not familiar with Smith will be impressed by his life story and excerpts from his original songs, including "Miss Misery," "Son Of Sam," "Happiness" and "Waltz #2." Information: heavenadoresyou.com and eagle-rock.com. 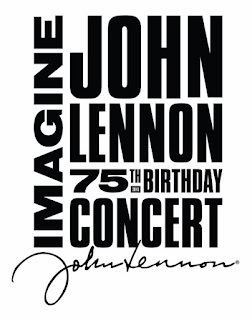 NEW YORK, NY - November 13, 2015 - In honor of what would have been John Lennon's 75thbirthday, Blackbird Presents in partnership with AMC today announced Imagine: John Lennon 75th Birthday Concert, an all-star concert event celebrating the music and message of the legendary music icon. The one-night-only concert event taping will be held at the Theater at Madison Square Garden on Saturday, December 5th at 7:30pm ET, and air exclusively on AMC onSaturday, December 19th at 9:00pm ET/PT. This once-in-a-lifetime concert, produced by Blackbird Presents, will bring together fans, friends and music royalty to honor Lennon's musical legacy. The event will feature performances by: Aloe Blacc, Eric Church, Sheryl Crow, Brandon Flowers (The Killers), Peter Frampton, JUANES, Kris Kristofferson, Pat Monahan (Train), Tom Morello (Rage Against the Machine), Willie Nelson, The Roots, Chris Stapleton, and Steven Tyler. Additional performers will be announced at a later date. GRAMMY® and EMMY® Award winners Greg Phillinganes ("Stevie Wonder: Songs in the Key of Life: An All-Star GRAMMY Salute") and Don Was ("The Night That Changed America: A GRAMMY Salute to the Beatles") will serve as music directors for this extraordinary concert event. DGA® Award winner Gregg Gelfand ("The Night That Changed America: A GRAMMY Salute to the Beatles") is the director. "It would be impossible to quantify the immense impact John Lennon continues to have on modern culture," said Keith Wortman of Blackbird Presents. "His music and lyrics continue to shape the lives of musicians and millions of fans around the world. I can't think of any better way to celebrate his 75th birthday than to honor his legacy with this extraordinary event. It's going to be an unforgettable evening." 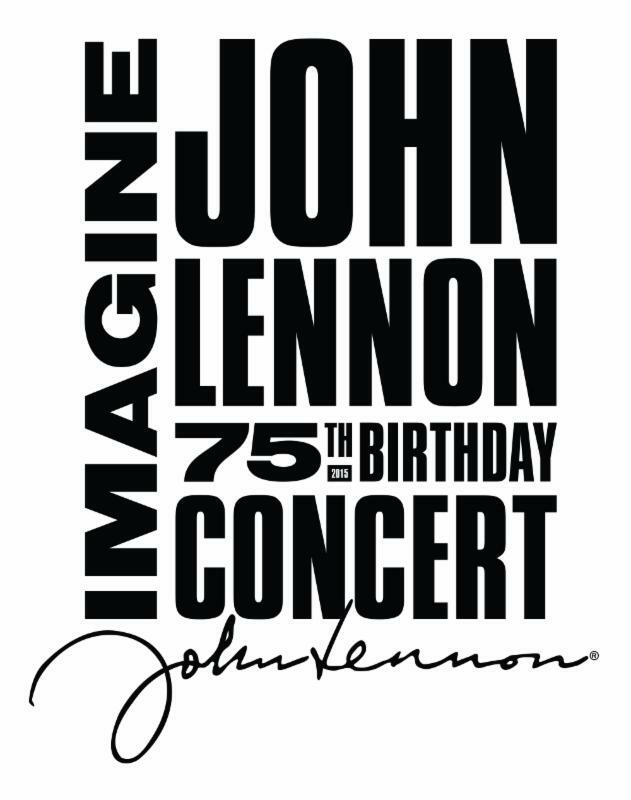 non-fiction programming and special events that can live alongside our original productions and movies, and we know this remarkable event will do just that and attract Lennon fans and music lovers of all ages." A portion of proceeds from the concert will be donated to Robin Hood. Robin Hood, New York's largest poverty-fighting organization, creates and funds over 200 of the most effective programs, to help 1.8 million New Yorkers learn and earn their way out of poverty. For more information, please visit www.robinhood.org. Levon Helm, Dr. John, Gregg Allman, Mavis Staples, Waylon Jennings and Emmylou Harrisamongst others. Keith Wortman is the CEO of Blackbird Presents. Whether commemorating favorite films from every genre and decade, or creating acclaimed original programming, AMC brings to its audience something deeper, something richer, Something More. The network reigns as the only cable network in history ever to win the Emmy® Award for Outstanding Drama Series four years in a row with "Mad Men," and six of the last eight with back-to-back honoree "Breaking Bad." The network boasts the most-watched drama series in basic cable history and the number one show on television among adults 18-49 for the last three years with "The Walking Dead." AMC's current original drama series include "The Walking Dead," "Better Call Saul," "Hell on Wheels," "TURN: Washington's Spies," "Halt and Catch Fire," "Humans," "Fear the Walking Dead," and the forthcoming "Into the Badlands," "The Night Manager," "Broke" and "Preacher." AMC also explores authentic worlds and discussion with original shows like "Talking Dead," "The Making of The Mob," "Comic Book Men" and the upcoming "Ride with Norman Reedus" and "The American West." AMC is owned and operated by AMC Networks Inc. and its sister networks include IFC, SundanceTV, BBC America and WE tv. AMC is available across all platforms, including on-air, online, on demand and mobile. AMC: Something More.